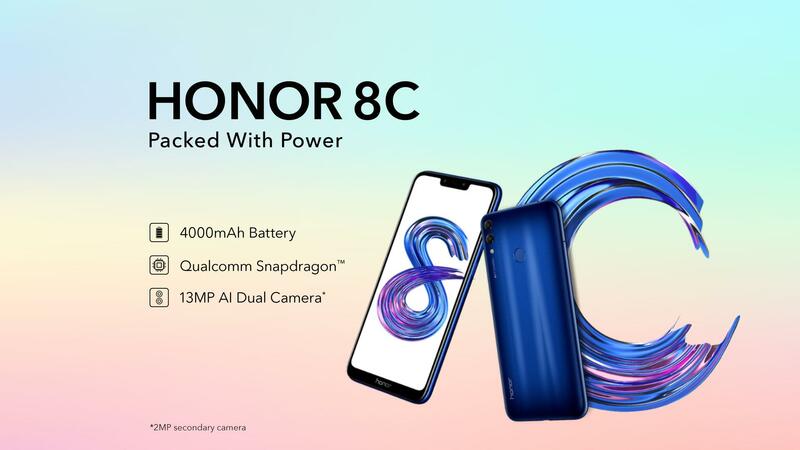 Honor 8C, the world's first smartphone powered by the Snapdragon™ 632 octa-core processor, features a 4,000mAh battery, 15.9cm 19:9 FullView display, and the latest 'Cat's Eye' design to deliver both aesthetics and advanced performance at an unbeatable price. Say goodbye to battery nightmares, get up to 2 days* of power on a single charge with Honor 8C 4000mAh battery. 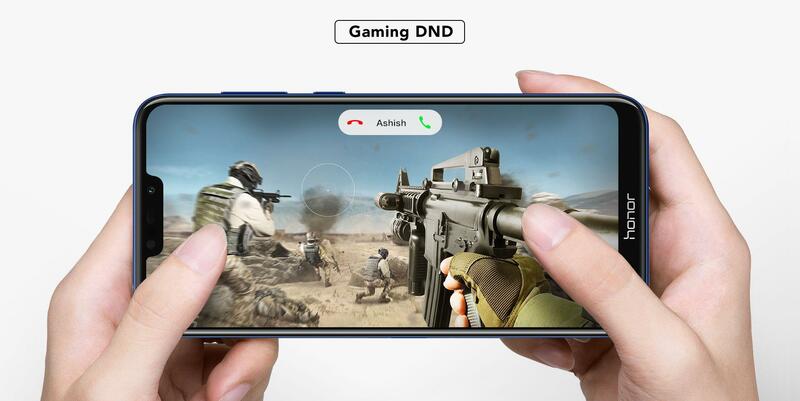 The Snapdragon™ 632 octa-core processor in Honor 8C boasts up to 40% performance improvement over the Snapdragon 626 and is designed for faster web browsing, snappier user interface, and extended battery life. 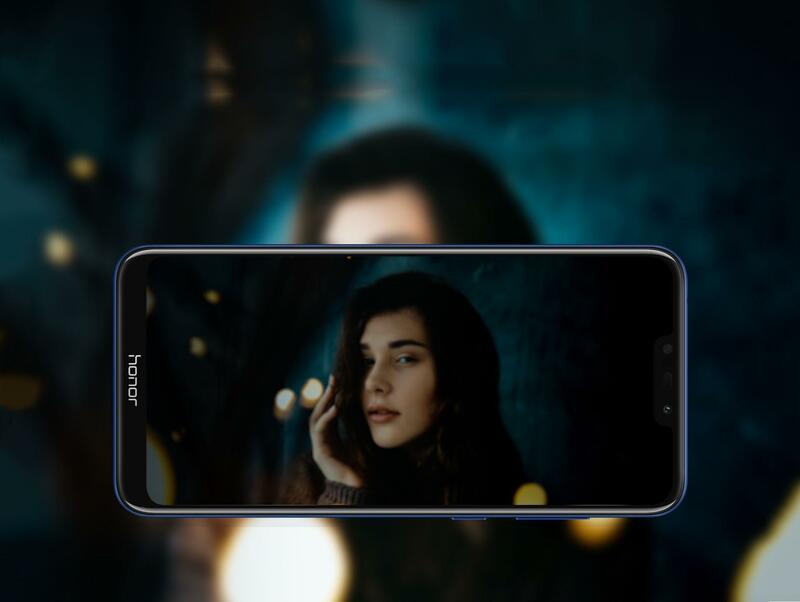 Daylight or lowlight, capture every moment in great details with the 13+2MP Dual Lens AI Camera in Honor 8C that can recognize and optimize over 500 scenarios under 22 categories. 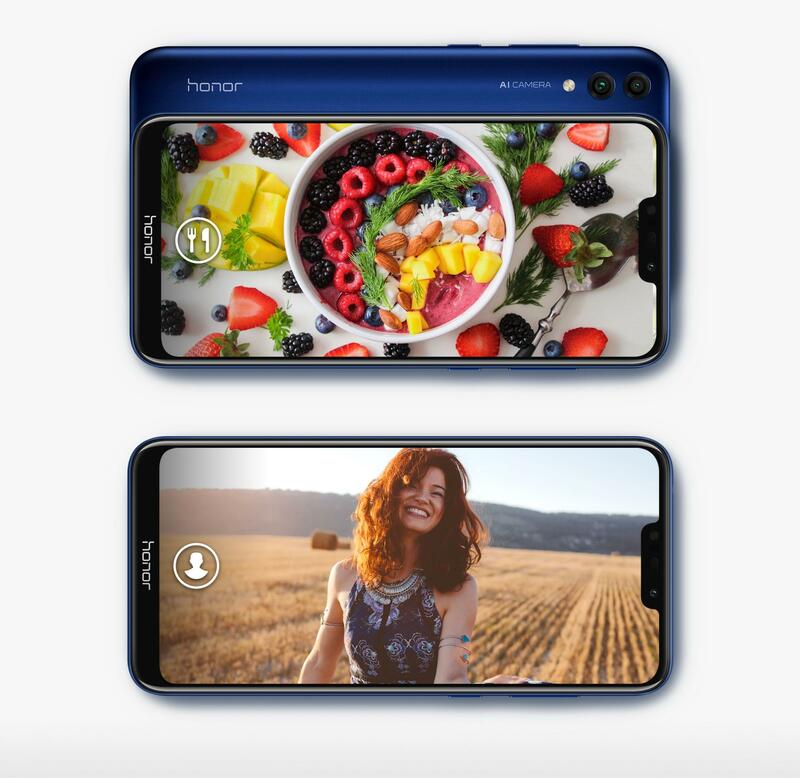 Featuring a 13MP lens with an f/1.8 aperture on the back, HONOR 8C gives you a superior photography experience even in low light. 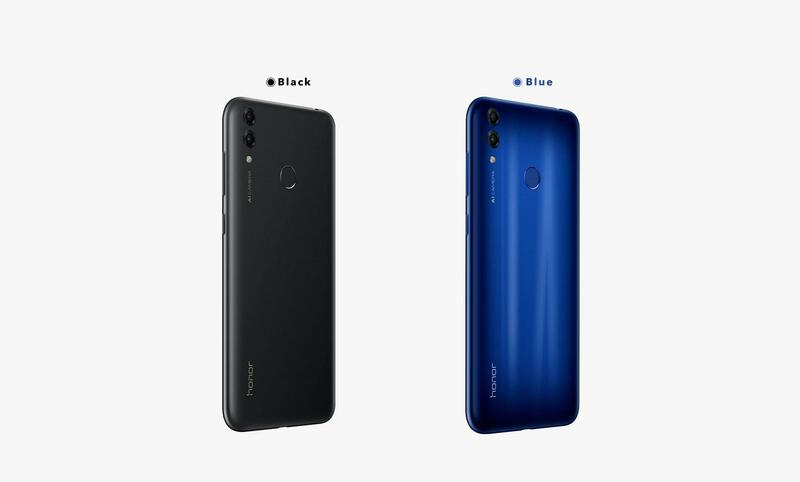 Delivering the ultimate combination of flagship feel and functionality, HONOR 8C packs an immersive 15.9cm HD+ display in its sleek profile with mere 7.98mm thickness. 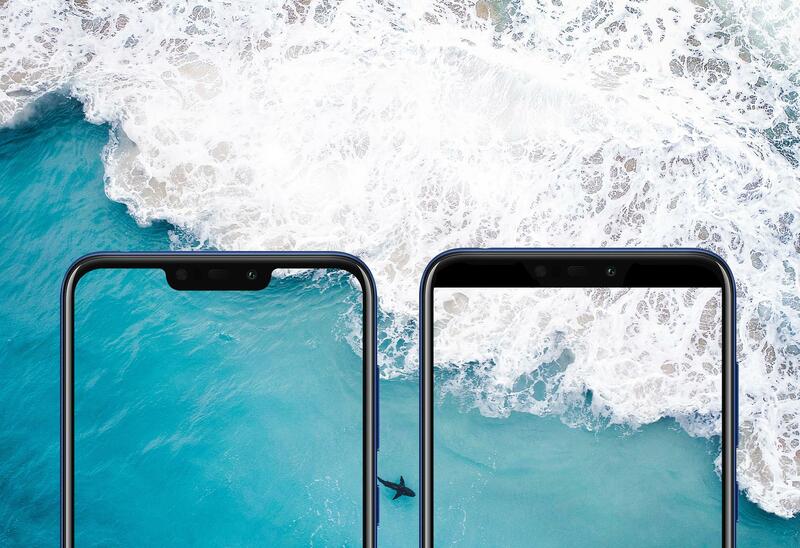 Don’t like the notch? Simply, hide it! 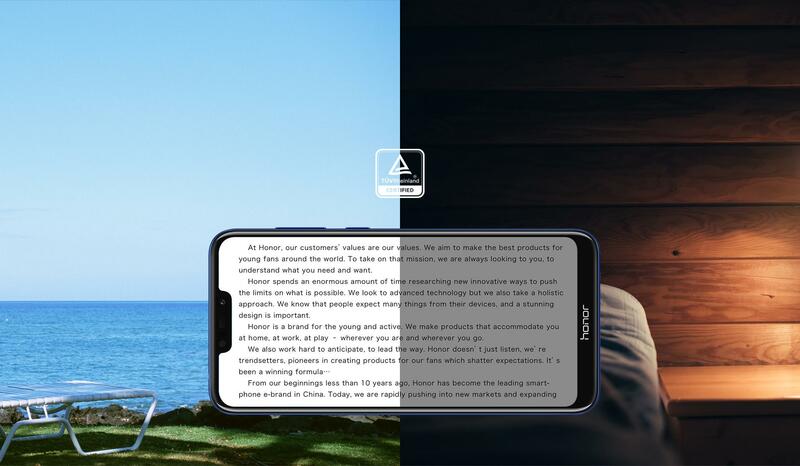 The new generation Eye-care Mode in Honor 8C reduces blue light radiation to protect your eyes and prevent eye strain, especially in dim light. 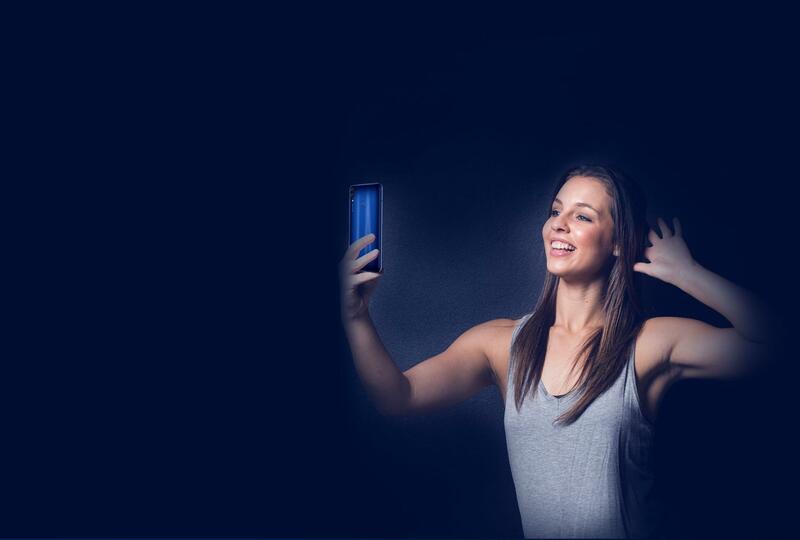 Featuring a Soft Light Flash with 3 level adjustment for bright, regular and low-light conditions, the 8MP Front Camera on HONOR 8C delivers the perfect selfie every time. 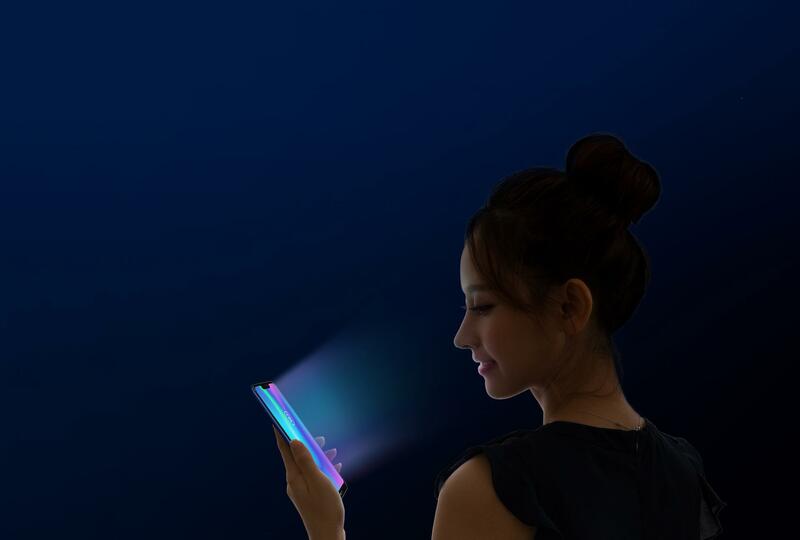 *Exclusive to the Blue Honor 8C. The device is also available in Timeless Black finish. *Product color, shape, interface, and features are only indicative; the actual product may vary. 14000mAh is a typical value. 2All battery life data is based on an Honor lab test.